At TU Wien and Heidelberg University, remarkable rules have been detected in the apparent chaos of disequilibrium processes. This indicates that such processes can be divided into universality classes. Systems belonging to the same class behave identically in many ways. 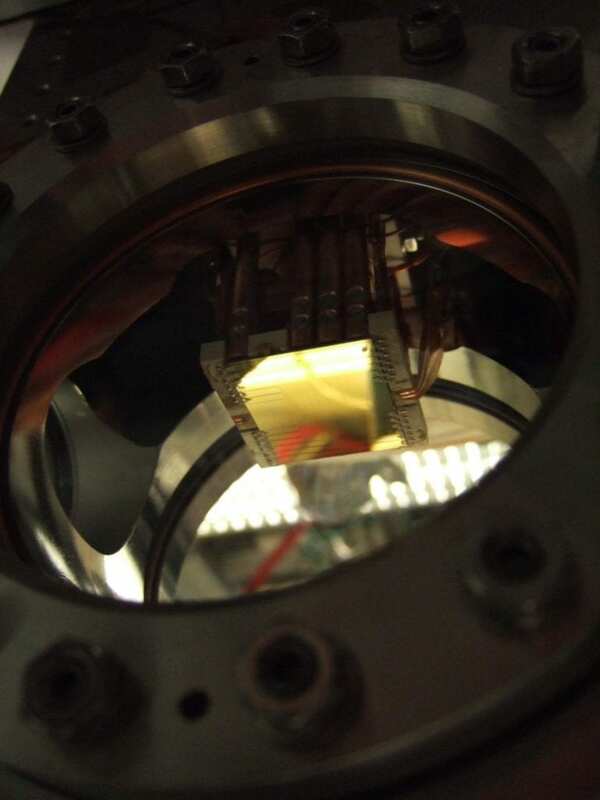 This means that experiments can be carried out with quantum systems that are easy to handle, in order to obtain precise information about other systems that cannot be directly studied in the experiment. These findings have since been published in the journal 'Nature'. "Universality classes are known from other areas of physics," says Prof. Jörg Schmiedmayer from the Institute of Atomic and Subatomic Physics at TU Wien. "When you study phase transitions, for example materials very close to the melting point, you can describe certain properties using formulas that are very universal, such as the relationship between the specific heat and the temperature." The microscopic details of the melting process do not matter. Very different materials can obey the same simple equations. "It is however entirely astounding that universality of this kind can also be found in quantum systems that are far removed from an equilibrium state," says Jörg Schmiedmayer. "At first glance, you wouldn't expect this: why should a quantum system made up of many particles that are changing extremely rapidly obey any universal laws?" Nevertheless, theoretical work from Jürgen Berges and Thomas Gasenzer's groups from Heidelberg University predicted exactly that. These notable predictions have now been verified twice at the same time – at TU Wien and in Heidelberg. The experiment in Prof. Schmiedmayer's group at the Vienna Center for Quantum Science and Technology (VCQ) at the Institute of Atomic and Subatomic Physics (TU Wien) is using a very special atom trap. On an atom chip, thousands of rubidium atoms can be trapped and cooled using electromagnetic fields. "In this process, we generate an atom cloud with a short and a long direction, similar to a cigar," explains Sebastian Erne, the lead author of the study. "The speed distribution in one direction is changed so quickly that during this time, the speed distribution in the other direction, along the longer axis of the cigar, virtually does not change at all," says Sebastian Erne. "As a result, we produce a state that is far from the thermal equilibrium." Collisions and interactions then lead to energy exchange between the atoms, which is referred to as 'thermalisation'. "Our experiment demonstrates that the course of this thermalisation follows a universal law and is not dependent on any details," says Jörg Schmiedmayer. "Regardless of how we started the thermalisation, the transition can always be described with the same formula." This change can be described using the same formulas as the one from the other experiment: "In our case, the physical situation is quite different from that of the TU Wien experiment, but the dynamics also obey universal scaling laws," explains Maximilian Prüfer (Heidelberg), first author of Heidelberg publication. "We have found a process that also obeys the universality but belongs to a different universality class. This is great because it confirms our theories very convincingly and suggests that we really are on to something – a new, fundamental law, " says Markus Oberthaler (also Heidelberg). Universality upens up the possibility to obtain important information on quantum systems that are usually inaccessible in a laboratory. "Nobody can recreate the Big Bang in a laboratory, but if we know the universality class to which it belongs, we can look at other quantum systems in the same class and indirectly investigate universal properties during the Big Bang," explains Schmiedmayer. "Better understanding the behaviour of many-particle quantum systems that are far from equilibrium is one of the most pressing issues in physics today. Even with the best supercomputers, there's no chance of precisely calculating these events, and so our universality classes are a major opportunity to learn something new."